After years of enduring tiresome greenwash-laden press releases about wind and solar power from rentseeking billion dollar companies like Berkshire Hathaway, Loblaw, and Tesla, I was refreshed and encouraged to see Brookfield Business Partners, a subsidiary of Canadian Brookfield Asset Management, step into the nuclear power game.1 Brookfield surprised many with its announcement in early January that it wants to buy Westinghouse’s nuclear services business from Toshiba. So just why is a Canadian asset manager buying a bankrupt American reactor maker? Maybe it was the cold front that has gripped North America for the better part of the last three weeks (four weeks in Ottawa Canada, where I live). 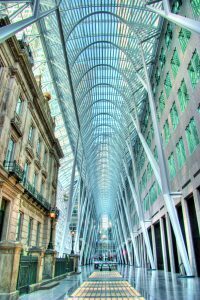 I know Brookfield primarily as a manager of major buildings, and not just the fabulous Brookfield Place in Toronto right next to the NHL Hall of Fame. The company has contracts with Canadian federal government departments with buildings here in Ottawa, and employs a number of my power engineer friends who make sure HVAC systems run properly—an important job in the fairest of weather, and life-or-death critical during cold snaps and heat waves. The basis of all this is power, and buildings use a lot of it. That makes energy an area of strategic interest for property managers. Right at this moment,3 the outdoor temperature in Ottawa is minus 21°C, including windchill. There are two Brookfield-managed federal government office towers (Place de Ville Phase Two, Towers A and B, each 22 storeys) in downtown. Those two towers are losing heat at the rate of about 1.2 megawatts. This heat is being replenished by gas fired steam, likely originating at the Cliff Street central heating plant behind the Supreme Court. 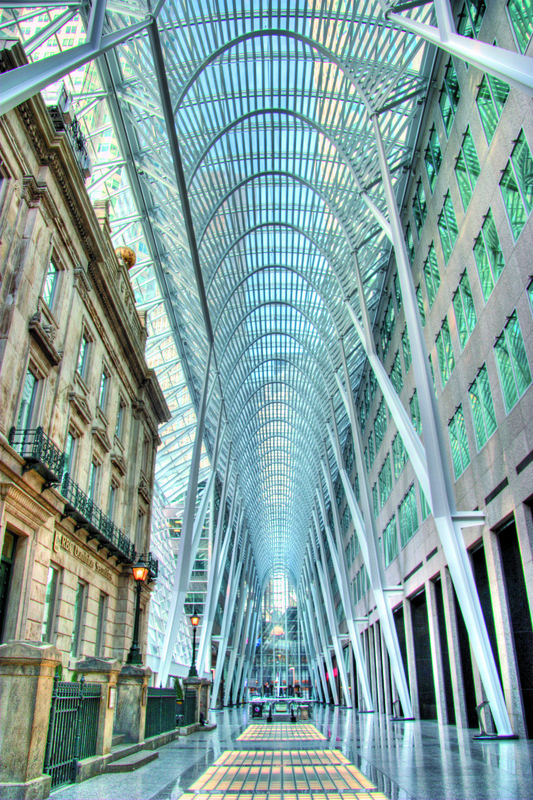 Probably all Brookfield buildings in Canada, and all those in the U.S., are heated with gas. Gas fired heat at its most efficient comes with roughly 200 grams of carbon dioxide (CO2) per kilowatt-hour, and 0.142 to 0.212 grams of nitrogen oxides (NOx). Nuclear comes with zero grams of CO2, zero grams of NOx, zero grams of sulfur oxides (SOx). Not only that, nuclear generated electricity is amazingly robust against disruptions of all sorts. In cold snaps like we’ve just experienced, priority is given to natural gas as a home heating fuel. When the demand for gas rises, commercial entities that use it have to scale back. Nuclear plants are immune to such events: there is no danger of their running out of fuel. They typically ride through extreme weather events under full power. Another possible motivation for the purchase of Westinghouse may be desire to avoid legal trouble in connection with heat-related crises. Concern is growing over the urban heat island effect (see my article “Green energy and the Toronto Heat Island” ). Big buildings are major and measurable contributors to the heat island. Measurability, in the hands of a smart lawyer, can translate into culpability—it may only be a matter of time before we see lawsuits related to heat pollution in summer. Besides, the idea of cooling a building by burning natural gas to power a chiller seems unfathomably selfish and unneighbourly. By burning gas to cool an indoor space, you are contributing to the heat island effect in an additional (and environmentally destructive) way: not only are you taking the indoor heat and throwing it outside, but you are using a heat engine, i.e., creating more heat, to do it. In view of this, electric chilling should be mandatory. And with heat extremes intensifying, electrical demand will increase. It would be best to meet it with nuclear. Is it possible that Brookfield, which holds assets in buildings and utilities, sees itself as a vertically integrated building manager and that the vertical integration includes heat and power? Or does the company simply see Westinghouse as a good deal solely on the basis of potential for overseas reactor sales in places like India and China, where there is a desperate need for zero-carbon power and a desire to buy equipment that has a good international brand, and/or servicing contracts wherever there are pressurized (light) water reactors already? Whichever it is, I am glad to see a long-game-playing Moneyballer enter the business. Welcome to nuclear power, Brookfield. To his credit, Berkshire Hathaway’s Warren Buffet at least admits publicly why he invests in wind power: for the subsidies. Loblaw is worse: it collects millions from Ontario ratepayers for electricity it generates with solar panels on its store roofs. Under Ontario’s FIT program, ratepayers are forced to buy this electricity at 52 cents (according to Scott Luft, >70 cents) per kilowatt-hour—five to seven times the cost of a peak-hour kWh from Ontario’s grid. Tesla is the worst. Not only can it not even survive without massive subsidies from the U.S. federal and state governments, it is now trying to subsidy-chase its way to eliminating what it regards as its competition in electricity generation. Its CEO Elon Musk recently voiced support for closing the Diablo Canyon nuclear plant in California; he thinks that he can replace Diablo’s 2000 megawatts of 24/7 power with (heavily subsidized) solar panels and (even more heavily subsidized) batteries. Whether Musk actually believes his own laughable hype is an open question. No one else should, but unfortunately, judging from Tesla’s stock price, plenty of people apparently do. Yes, the company has a portfolio of renewable energy, but it may be that it views renewables in the same way Billy Beane views the latest-greatest closer: as a way to profit from the “market” stupidity that overvalues them. Buildings require power in bulk at all hours of the day. Like the electrical grid, there are only three sources of this kind of power: hydro, fossil thermal, or nuclear. I am writing this at ten a.m. Tuesday January 16 2018.